Having lost three in a row, the Huskers are at a crossroads. 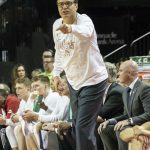 The season may be far from over, but after Saturday’s loss to the Ohio State Buckeyes, the noise surrounding the team and Tim Miles’s future is only going to get louder from a frustrated fan base. 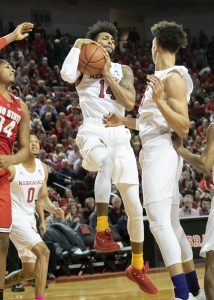 It appeared at firs that the Huskers would have no reason to be gloomy, at least following the first few minutes of action. After surrendering the opening field goal, Nebraska scored eight straight in two minutes. But the Buckeyes went on a 7-0 run in the next 90 seconds to erase the lead. The wheels hadn’t fallen off yet, though. Nebraska looked to have some semblance of control after Isaac Copeland hit a step back jumper in the paint to take a 7 point lead. However, just one minute later, the Huskers had a five minute dry spell, allowing Ohio State to claw back in it. The Buckeyes took a five point lead into halftime. 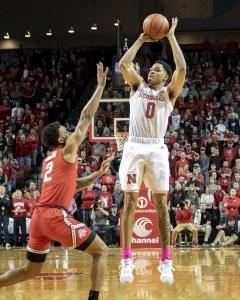 The Huskers were fortunate not to be worse off than they already were, as they did not make it to the foul line the entire first half. Nebraska needed to find some offense, and find it fast. At the start of the second, it looked as if they had done just that, hitting four of their first five attempts. However, the Huskers missed their next six shots, many of them right at the rim. The poor shooting effort ultimately cost Nebraska the game, as did the Husker’s rebounding effort (or lack thereof). The Huskers were out hustled on the glass 45-31. The Buckeye’s rebounding margin on average heading into the contest was -1.6. 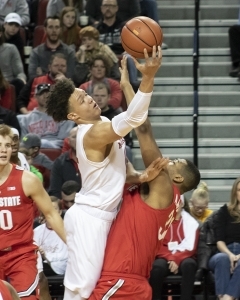 (Photo – Kenny Larabee) Ohio State forward Kaleb Wesson draws a charge from Nebraska forward Isaiah Roby during the second half of Saturday’s game. “We got three guys, and we’re just looking at the ball,” Miles said about his team’s rebounding woes. The bench play was lacking too, with the Huskers only getting three points from their reserves. With Copeland going down with a possibly serious knee injury that will require an MRI, the depth issues could only get worse for Nebraska. The mental struggles though, trump every other issue that the Huskers have. The Huskers shot 36.2% from the floor, marking the third time this season that they’ve shot under 40%. Nebraska is 0-3 when shooting below that mark. The Huskers will need to regroup before Wisconsin comes to PBA on Tuesday. Tip-off is set for 7. 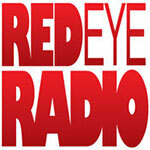 Pregame coverage will begin at 6 on KLIN.